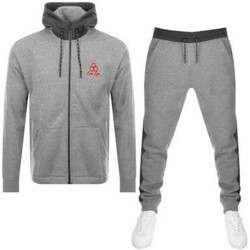 Manufacturer of a wide range of products which include sweatshirt with lower and grey hoodies. This is sweatshirt with lower set. its fabric is fleece and woolen. Its fabric is fleece. It is available in various colors.